the design and construction of a tabletop army for gentlemanly wargaming. Normally about this time of year I post a photo of the Christmas Tree in our house . . . but I cannot do that this year because (due to water damage) the flooring is completely being re-done throughout the house . . . sometime over the next two weeks . . . (at least supposedly -- it keeps getting postponed). Above is a photo from a little before dusk. The tree itself is an artificial one about 15-20 years old. 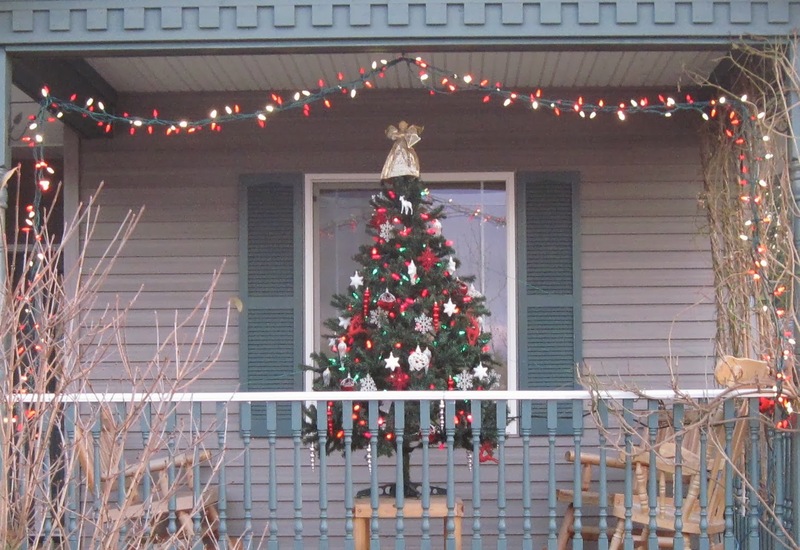 Ornaments are large inexpensive plastics that won't break if a strong wind knocks them off. 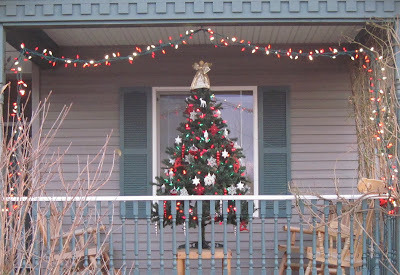 The lights in the tree are red and green; while the garland of lights around the porch are a mixture of red and white. Thus, no matter when the flooring finally gets done, at least we have one tree up and decorated for the holidays. May your holidays be filled with the warm comfort of family and friends; and may joy be the over-riding feeling that fills you for the rest of the year (and well into the next one). All the best to you and yours Jeff. Happy Holidays to you, too, Jeff! Best wishes for better health, and more gaming! The Seasons Greetings to you and yours ! Thank you for sharing that, Jeff. Another Battle at the Library table.